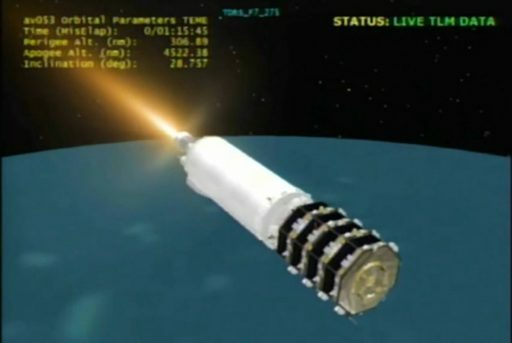 The Centaur upper stage that sent four magnetospheric probes into an elliptical orbit around Earth re-entered the atmosphere on August 28, 2017 after slowly decaying from orbit over the course of two and a half years. 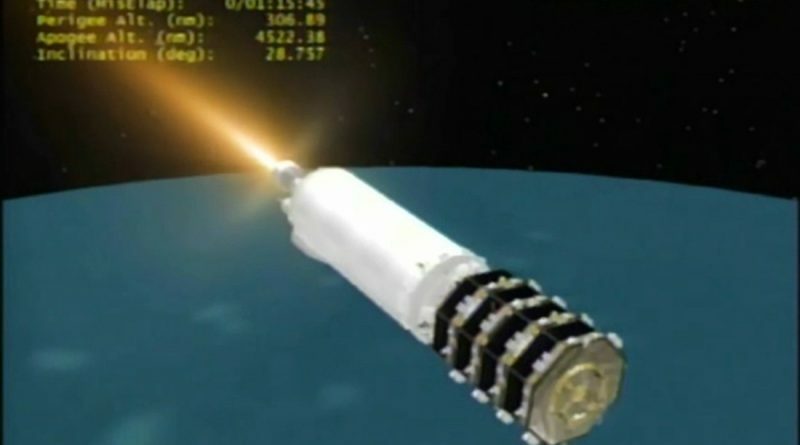 Launching atop an Atlas V 421 rocket, Centaur lifted the satellites into a 585 by 70,100-Kilometer orbit before slightly lowering its orbit to speed up its decay. Re-Entry Prediction: August 26, 2017 – 15:01 UTC +/-7 Min.